You Should be here for Amazing places in Bali ! Feel free to choose whether Tours or Activities based on your references! WE ONLY DO BETTER ! Ulun Danu Temple is a major Shaivite water temple on Bali, Indonesia. 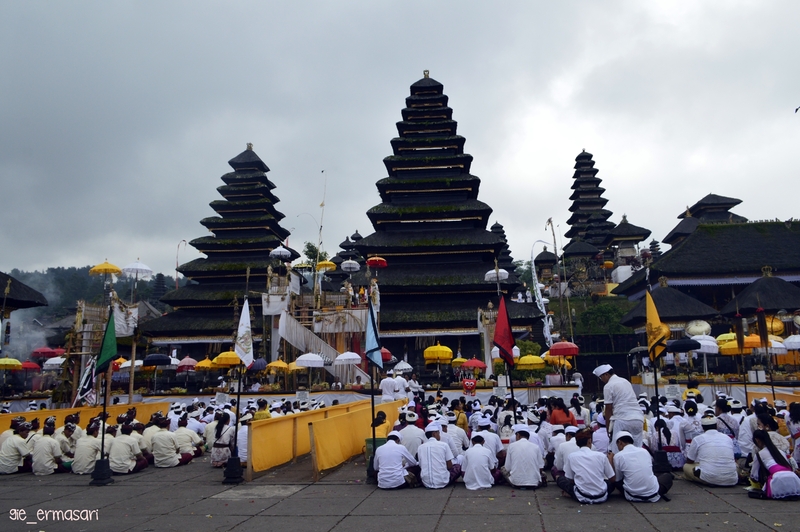 The temple complex is located on the shores of Lake Bratan, Bedugul. Water temples serve the entire region in the outflow area; downstream there are many smaller water temples that are specific to each irrigation association. This Temple is one among the best known Balinese Hindu temples and the most photographed tourist attractions in Bali island. 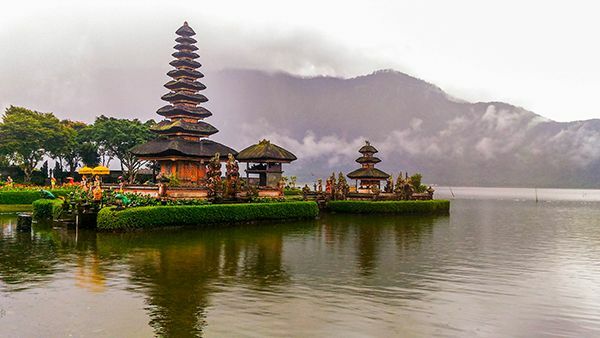 Ulun Danu Temple is typically known as Bali temple by the lake or Bali temple on the water as it appears like floating on the water whenever the water level in the Bedugul Lake Beratan is rising. An amazing and most famous for its landscapes that are both dramatic and truly exotic. With the cool highlands and the breathtaking scenery of this village at the foot of Mount Batukaru makes for wonderful photo opportunities, and serves as a soothing retreat away from the island’s crowded south. Taman Ayun Temple is a compound of Balinese temple and garden with water features located in Mengwi district in Badung. Badung regency and about 18 Km north side of Denpasar town. It is strategically located beside of major roadway between Denpasar to Singaraja. It is set on the land which is surrounded by the big fish pond and look like a drift on the water. It owns the beautiful temple building with multi storied roof and Balinese Architecture. The wide beautiful landscape garden in front courtyard to welcome all visitors who come and visit this temple. It is a beautiful and the most popular for vacation in Bali. Pura Besakih is a temple complex in the village of Besakih on the slopes of Mount Agung in eastern Bali, Indonesia. It is the most important, the largest and holiest temple of Hindu religion in Bali, and one of a series of Balinese temples. The priests let us know that during the 8th century, a Hindu monk had revelations to build homes on this holy ground. They say during the process, apparently many of his followers died due to illness and even accidents. Stories like this are the brick-stones of legends so it is difficult to get the historic truth. The people called the area “Basuki”. A name referring to “Naga Besukian”, a dragon deity inhabiting Mount Agung. Puri Agung Semarapura, is a historical building complex situated in Semarapura, klungkung Regency, on Bali, Indonesia. The palace (Puri) was erected at the end of the 17th century. Today the basic remains of the palace are the court of justice, the Kerta Gosa Pavilion, and the main gate that bears the date Saka 1622 (AD 1700). Within the old palace compound is also a floating pavilion, the Bale Kambang. The descendants of the rajas that once ruled Klungkung today live in Puri Agung, a residence to the west of the old palace, which was built after 1929s. The beauty of the architecture of the building seen in the building Bale Kambang, which inhabits a pond called Taman Gili. Because there is a pond beral Bale Kambang, then to be able to access the building area Bale Kambang, visitors will pass the bridge from the brick. The uniqueness of the buildings Bale Kambang and Bale Kertha Gosa, is on the roof ceiling of the building. At the roof of the building there is a Wayang painting (puppets) depicting the case of the trial, and the type to be accepted, if made a mistake. Bat Cave Temple is one of Bali’s most important temples. It features a complex built around a cave opening that is inhabited by hordes of bats, and its name translates to ‘Bat Cave’. This temple was established in the 11th century by Mpu Kuturan, one of early priests who laid the foundations of Hinduism on the island. As the name implies, Bat Cave Temple is inhabited by thousands of bats in black gray. During pre-Hindu times, indigenous peoples believe this cave is connected by a long passage to Cave Temple in Besakih, which is about 35 km away, and they also believe the legendary dragon snake, Naga Basuki, is tuning the aisle. Dragon Basuki is believed to be a stalwart of the balance of the world. In ancient times Bat Cave Temple also used as a testing ground for people who are known to violate the law under the Kingdom of God Maheswara. Kintamani is a village on the western edge of the larger caldera wall of Gunung Batur in Bali, Indonesia. It is on the same north-south road as Penelokan and has been used as a stopping place to view the Gunung Batur region. Furthermore, it is the most favorite tourist destinations in Bali with the majesty of mount Batur as well as beautiful lake. It is surrounded by the captivating nature and there are six ancient villages around cauldron of Batur Lake which is often conceived by Bali Age Village. The local people from these villages own the unique cultures, houses as well as life style. Kintamani Area is consisted of some Villages such as Kedisan Village, Buahan, Abang, Trunyan, Songan, South Batur, Middle Batur, North Batur, Sukawana and Kintamani Village. Ubud Monkey Forest is a nature reserve and Hindu Templ complex in Ubud, Bali, Indonesia. Its official name is the Sacred Monkey Forest Sanctuary (Balinese Mandala Suci Wenara Wana),and its name as written on its welcome sign is the Padangtegal Mandala Wisata Wanara Wana Sacred Monkey Forest Sanctuary. The Ubud Monkey Forest is a popular tourist attraction and is often visited. Ubud attractions Bali is famous for its artistic, natural and cultural abilities, offering a wide variety of interesting sights to visit and holiday activities for tourists. When you hear one of the name of a tourist attraction in Ubud Bali, the Ubud monkey forest. Although you have never been to a tourist attraction monkey forest Ubud, you must know from the name, that you will be able to see the monkeys in this tourist spot. Monkey forest is included in one of the tourist attractions in Ubud that must be visited, because it is very iconic and represents the impression of Ubud tourist attraction as a whole. Special for fresh seafood dinner in Jimbaran with sound of waves or sunset backdrop ! is a ± 60 ha area of cultural park located in Ungasan, Badung Regency or about 10-15 minutes driving from Bali’s Ngurah Rai International Airport. With a future plan of ±120-meters tall and 64-meters width statue of Garuda Wisnu as its main attraction. Let’s explore the experiences of real Balinese culture whether Tours or Activities based on your preferences ! We are ready to provide a PRIVATE CAR complete with a friendly Driver. Eastern of Bali (Besakih Temple, Kerta Gosa, Bat Cave Temple). 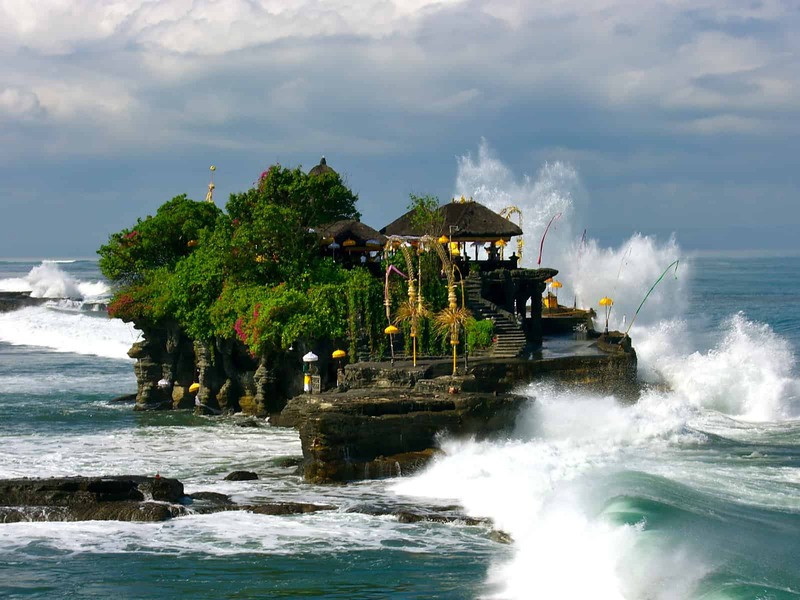 North Coast Bali Tour (Barong Dance, Elephant Cave Temple, Kintamani Volcano, Tegalalang Rice fields, Monkey Forest). West Trip of Bali (Ulun Danu Temple (Bedugul), Rice Terrace Jatiluh, Taman Ayun Temple, Tanah Lot Temple). South of Bali (Amazing Dreamland Beach, GWK Cultural Park, Uluwatu Temple & Kecak Dance). Tegenungan waterfall, Tukad Cepung Waterfall, Penglipuran Village, Tirta Empul Temple, Gunung Kawi Temple, Kehen Temple, Bali Swing Ubud, Ubud Market, Gitgit Waterfall, And Batukaru Temple. Up to 10 people we give best deal! We have lot of gorgeous panoramas in Bali; get your a memorable experience with us!